The Backbencher – Martin McGuinness 1950-2017, Man of War. Man of Peace? Martin McGuinness 1950-2017, Man of War. Man of Peace? During the 1980’s the Irish Republican movement adopted a twin strategy, to achieve their objectives via the ‘Armalite and ballot box’. No four words, however carefully crafted, describe the life of Martin McGuinness better than these. As such McGuinness’s death is producing varied emotions, all of them savage. Already, inevitably, he’s receiving praise as a peacemaker. Tony Blair has claimed that the Northern Irish peace process would not have taken place without McGuinness’s ‘leadership, courage and quiet insistence that the past should not define the future’. Irish Taoiseach Enda Kenny has gone further, asserting that McGuinness ‘strove to make Northern Ireland a better place for everyone, regardless of background or tradition’. McGuinness played a key role in the peace process, and in the power sharing with unionists which it facilitated. But he was also involved with the IRA’s campaign of violence and terror, and it would be immoral to ignore or downplay, as so often seems to happen, the group’s many victims. An honest assessment of McGuinness’s life, and I very much hope this is allowed to emerge, will focus on both sides of his political involvement. McGuinness could easily have died at a much younger age, and had the death of a martyr rather than a conventional politician. No doubt had this happened, history would have remembered him very differently. On 16 March 1988 McGuinness was at Milltown Cemetery, attending the funerals of three IRA men. Also present was a loyalist, Michael Stone, armed with several revolvers and grenades. Stone had come to kill the Republican leadership, namely McGuinness and Gerry Adams. He failed, and in the event killed three random mourners instead. McGuinness had been involved with the violent Republican movement from a young age, joining first the Official IRA, and then the less compromising Provisionals. By 1972 he was the IRA’s second-in-command in Derry, and the next year he was imprisoned after being caught near a vehicle full of explosives. McGuinness insists he never killed anybody, directly that is, though he has all but admitted to involvement in gun battles. Whatever the truth, by 1978 McGuinness was the IRA’s Chief of Staff. 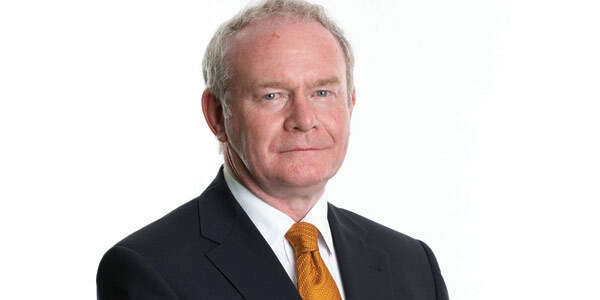 The point at which McGuinness abandoned terrorism, and engaged solely in politics, is hotly disputed. He was elected to the Northern Irish Assembly in 1982, though as a Republican refused to take his seat. It’s alleged, by both British and Irish security sources, that McGuinness was a key figure within the IRA’s Northern Command in the late 1980’s, and so could well have had advanced knowledge of the Enniskillen Remembrance Day bombing, which killed 11 civilians. More specifically the family of Frank Hegarty, a Catholic shot for ‘informing’ on the IRA in 1986, claim he was lured back to Northern Ireland by McGuinness personally before his execution, though McGuinness strongly denies this accusation. Exactly when McGuinness’s involvement with the IRA ended is unclear. 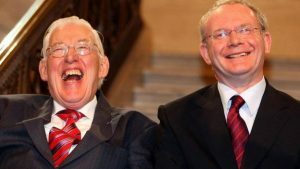 As recently as 2005 the then Irish Tánaiste, Michael McDowell, alleged that McGuinness remained a member of the IRA’s Army Council, though this was contested by McGuinness himself. And yet, whatever his earlier activities, it can’t be denied that McGuinness was a key figure in the peace process. As early as 1972 he was involved with negotiations, as part of an IRA delegation, with the British Government. Most significantly during the 1990s he was Sinn Fein’s chief negotiator during the discussions which led up to the 1999 Good Friday agreement. Alastair Campbell, also involved with the negotiations, remembers him fondly on both a personal and professional level. It’s undeniable that, in taking such a prominent role negotiating with the British Government and Unionists, McGuinness put his own safety on the line. 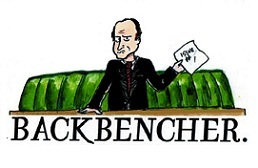 The negotiations were strongly resented by some Republicans and it’s entirely possible that, had he made the wrong concession, McGuinness would have ended up with a bullet in his back. McGuinness undoubtedly wanted the negotiations to succeed, and almost certainly carried enough weight in Republican circles to have scuppered them if he’d so wished. Similarly he played a key role, as deputy First Minister, in maintaining Northern Ireland executives from 2007 until January of this year. The Republican/Unionist power sharing which McGuinness was involved with was exquisitely historic, and until it collapsed this January provided a degree of stability to Northern Ireland which the country has rarely experienced in its modern history. McGuinness’ legacy then, is both dramatic and mixed. There are two primary results of his political involvement, neither of which should be forgotten. McGuinness chose, of his free will, to join and become a senior figure within a terrorist organisation. As such it’s beyond reasonable doubt that his actions, whether directly or indirectly, caused enormous pain to innocent people. 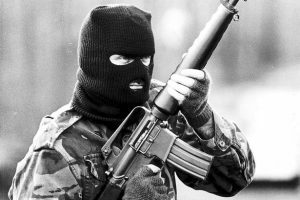 The IRA were a thuggish murderous group who regularly targeted what anyone else would think of as civilians, and who killed those who stood in their way regardless of background. There is no excusing McGuinness’ involvement. It was entirely plausible to campaign for a united Ireland, or for improved conditions for Northern Irish Catholics, during the entire period McGuinness was active without resorting to murder. And yet McGuinness did play a key, possibly decisive, role in the Northern Irish peace process and formation of power sharing governments. Bringing an end to decades of conflict, which both Republicans and Loyalists played a role in triggering, deserves praise. It’s not clear if McGuinness was a good man, nor if the net impact of his activities was positive or negative. Hopefully this is how history will remember him, rather than via propagandised profiles from one side or the other.